Efficiency matters in production. 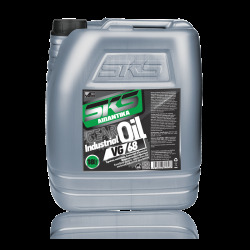 SKS offers a wide range of lubricants such as hydraulic fluids, heat transfer oils, cutting oil and industrial gear oil. 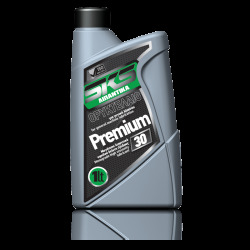 In addition, we offer industrial lubricants for reduction gears, wind turbines, compressors, machinery, circulation systems, etc. INDUSTRIAL LUBRICANTS There are 18 products. Excellent quality lubrication for enclosed industrial gearboxes operating under adverse conditions. They provide protection against gear wear and ensure a long lifespan. Ultra-high-performance oils for hydraulic systems operating in a wide temperature range. Monograde high viscosity lubricants with oxidation and corrosion inhibitors. They provide protection against corrosion and oxidation. Suitable for general machine lubrication and simple plumbing applications. They prevent metal parts from rusting. High-quality heat transfer fluids with low evaporation rate and high levels of specific heat, thermal stability and conductivity. 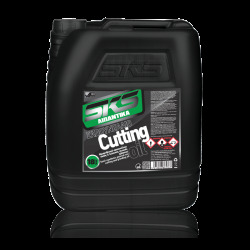 Semi-synthetic general use cutting and grinding oil for hard water, with corrosion inhibitors. Emulsified cutting oil for metalworking processes.